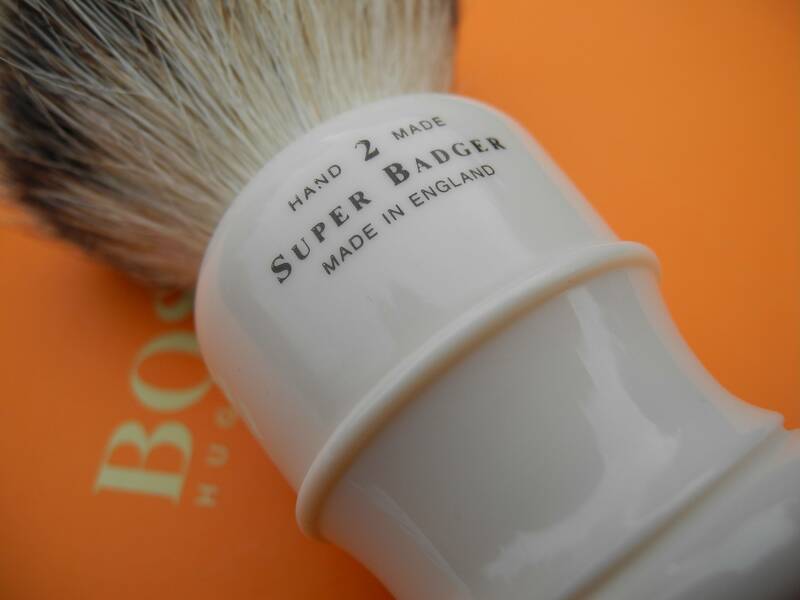 SOLD - Please Archive --Rare Rooney Heritage Stubby 2 Super Badger Shaving Brush - one of the first editions a number of years ago with a single ring design. 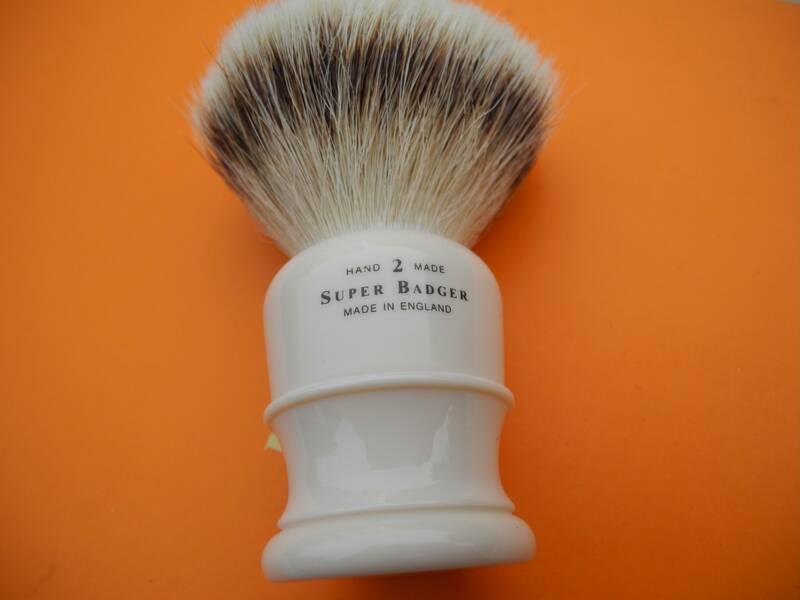 Excellent condition Super Badger brush with very soft silky tips - for a luxurious shaving experience - most cloud-like feel of all in collection. 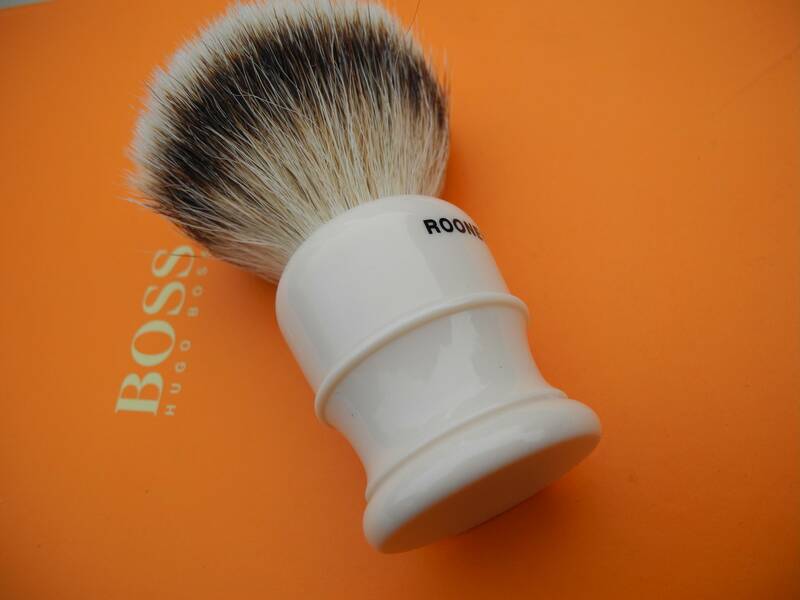 There is a slight amount of glue visible on the back side as in the pictures, which is how the brush was received. Selling price is $235 includes shipping to ConUS and Canada. Am I wrong, or is that a Style 1 Size 2 handle and not Stubby? 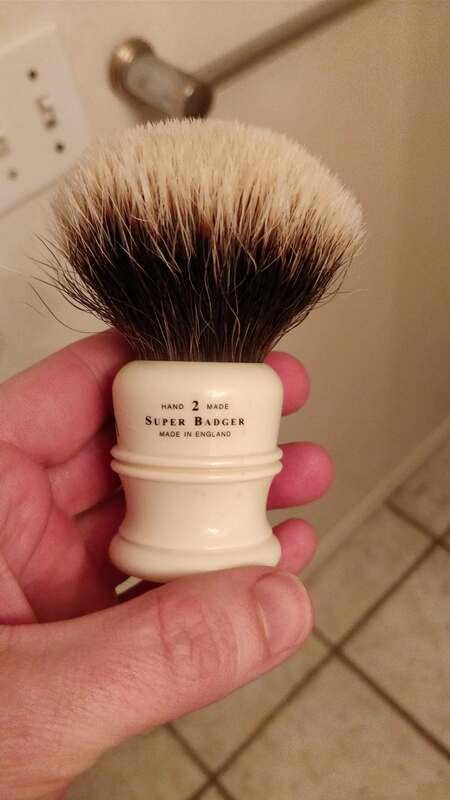 Also if I may, why isn't the hair flaring out unicorn style like you see with this era of handle and hair claimed to be Heritage Three Band Super Badger? Not pulling your chain just asking an honest or more likely ignorant question to you or whomever will jump in. To my eye that's an original stubby 3-band, prior to heritage 2-band. 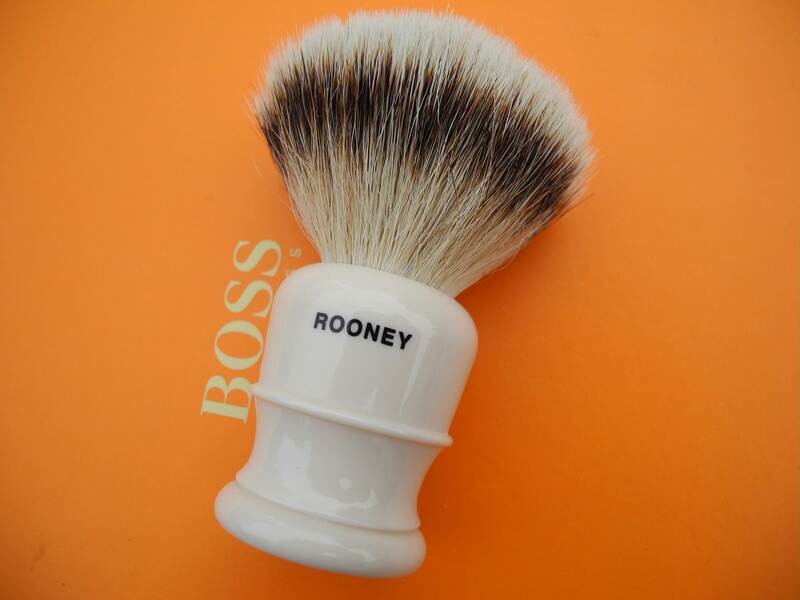 A very rare brush. Style 1's had a slightly thicker ring. Also, that shade of ivory was only used for Heritage brushes, not the style X line. Stubby 2xl heritage gel tips! hmm . . . still getting this message "DudeAbides has reached their private message quota so your message could not be sent." 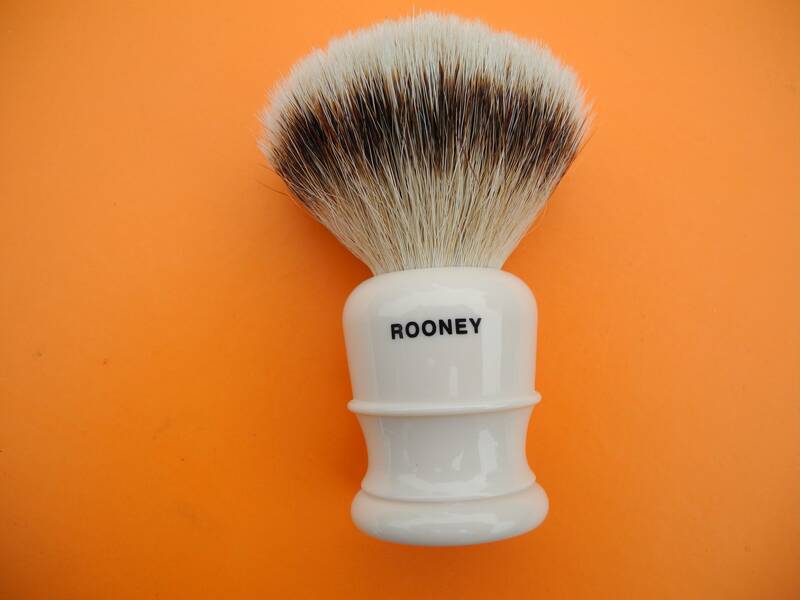 So what is the final disposition on all this potential Rooney heresy?? (12-07-2018, 07:06 PM)jjfar Wrote: So what is the final disposition on all this potential Rooney heresy?? SOLD - heresy resolved . 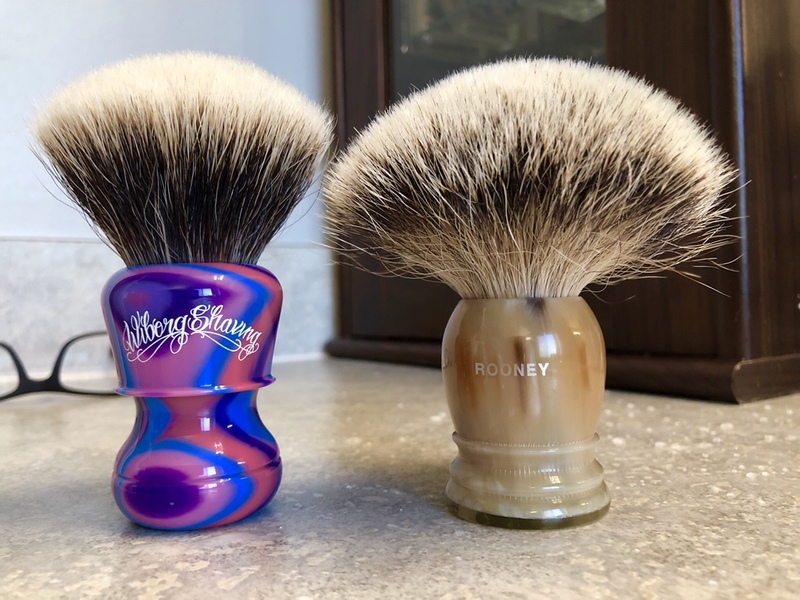 . .
That is a Stubby Size 2 brush. No doubts about it. Also it is of the 3-band heritage kind. No heresy here. 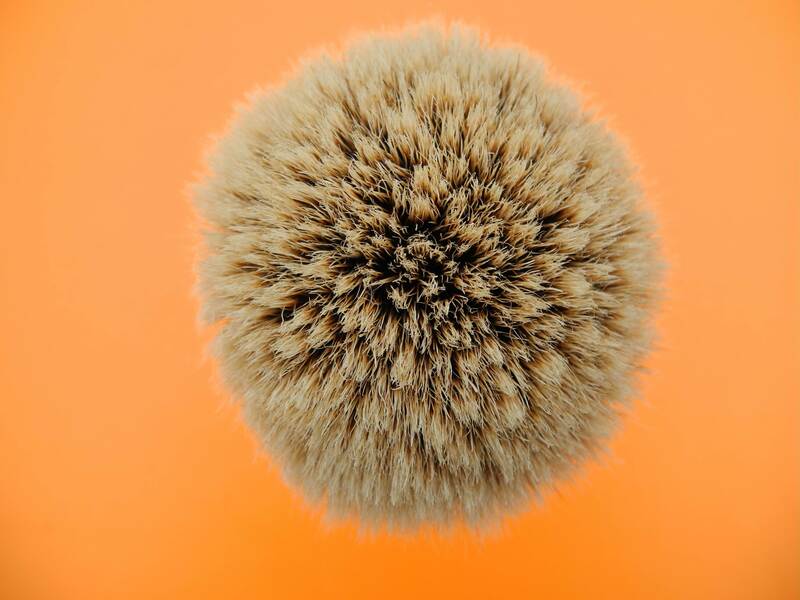 (12-09-2018, 12:55 PM)kooshman7 Wrote: That is a Stubby Size 2 brush. No doubts about it. Also it is of the 3-band heritage kind. No heresy here.